Little, Brown Books for Young Readers, 9780316484008, 320pp. Karyn Parsons is best known for her role as Will Smith's ditsy cousin Hilary Banks on NBC's The Fresh Prince of Bel-Air. After leaving acting behind, Karyn has gone on to found and produce Sweet Blackberry, an award-winning series of children's animated films, to share stories about unsung black heroes in history, featuring narration from stars such as Alfre Woodard, Queen Latifah, and Chris Rock. It's been screened on HBO and Netflix, and enjoyed by schools and libraries across the country. 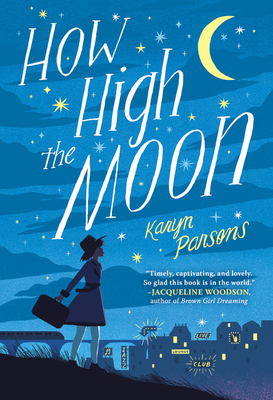 How High the Moon is Karyn's self-authored debut novel. "A stirring, emotionally resonant debut, How High the Moon opens a fresh and sensitive window on a terrifying time, even as it introduces us to a lovable new heroine--Ella Louise! "— Tony Abbott, author of Firegirl and The Great Jeff.